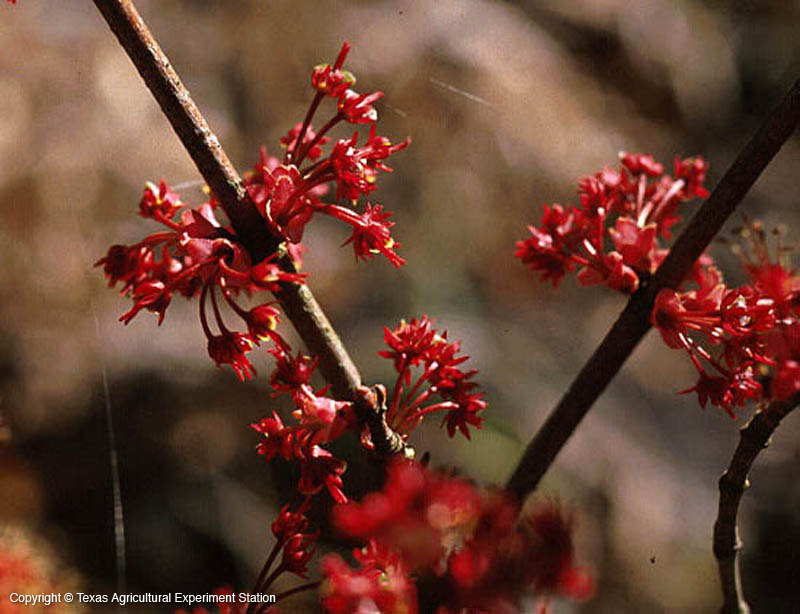 In any season, red maple exhibits bright crimsons and scarlets: small red spring flowers, sometimes red samaras, and on certain individuals flaming red fall color underlie the common name. They are medium to large trees with upright oval crowns, native to the eastern half of the country, including the wetter areas of east Texas. They are poorly adapted to Central and West Texas, becoming chlorotic on alkaline or neutral soils and not adapted to drought. There are several varieties of red maple, according to some authors. 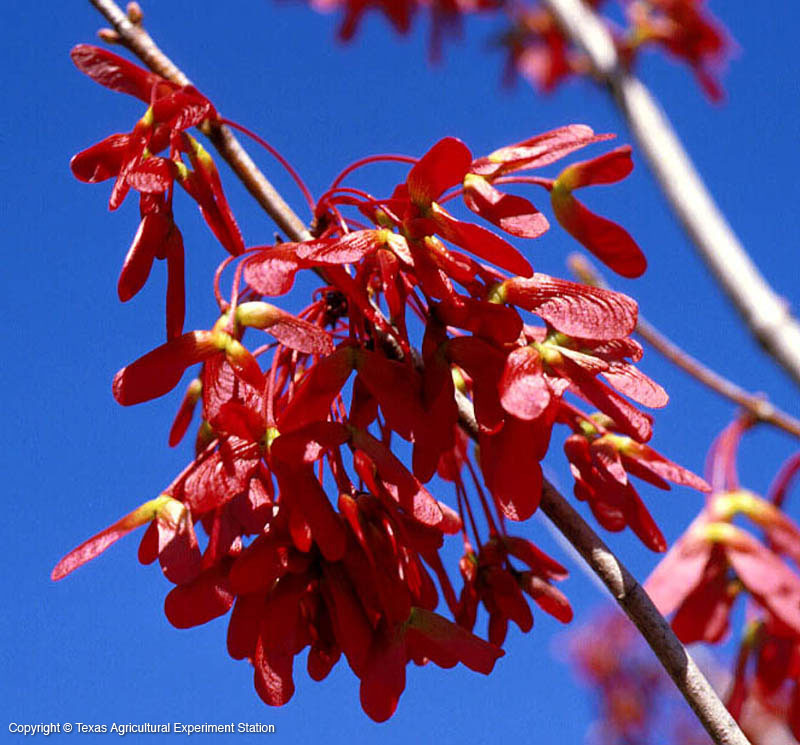 Drummond red maple, common in southeastern Texas, and trident red maple, which has 3-lobed leaves and is especially attractive in northeastern Texas, are probably the most frequently encountered red maples in Texas. 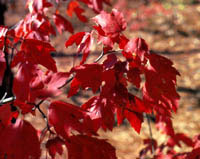 The leaves of most trident red maples turn golden yellow in the fall, not red, as is typical of other red maples. 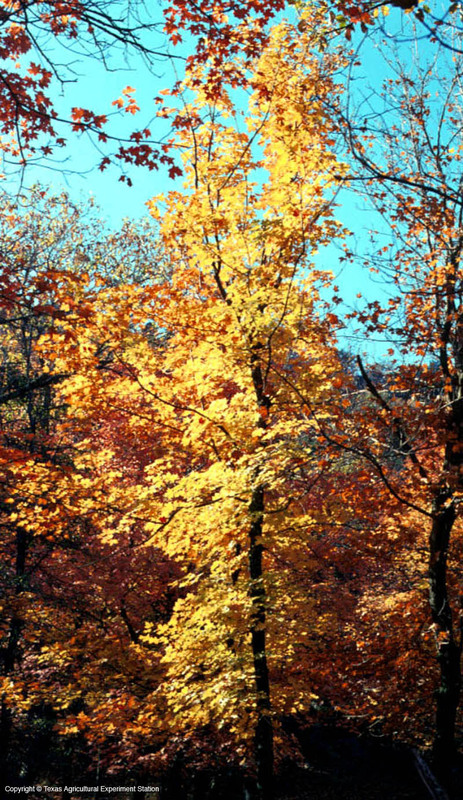 Additional Comments: Fall color development is not always reliable in Texas' autumn conditions.